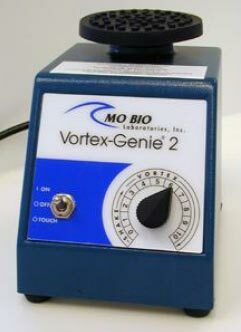 The Vortex Genie® 2 Vortex blends fluids quickly and thoroughly with a true vortex action that prevents spilling, even when tubes are uncapped. It is capable of ranges from gentle yet thorough shaking action to extreme vigorous vortexing depending on the attachment chosen. Variable speed control allows low speed shaking action up to high speed vortexing. Interchangeable attachments designed to produce different mixing actions, allowing you to choose the correct action for your application. Operates in both hands-free or touch mode for precise vortexing control. Tough metal housing provides bench top stability for all types of missing without risk of “walking”. 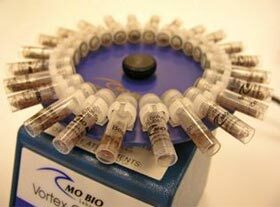 Unmatched reliability, with many years of proven performance in laboratories all over the world. 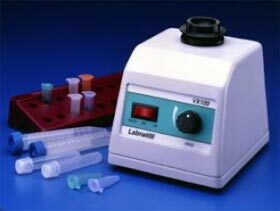 The Labnet VX-100 vortex mixer is a valuable addition to any laboratory. The continuously adjustable speed control meets a variety of applications. Lower speed settings allow for gentle mixing of samples while higher speeds can be used for vortex mixing and resuspending of pellets. Continuous operation or touch control. Heavy duty construction for durability and stability. Small footprint requires a minimal amount of bench space. Variable speed meets a wide range of applications from gentle mixing to resuspending pellets. Convenient - Shake multiple tubes at one time. Flexible - Allows for vortexing tubes horizontally without the use of tape. Secure - Plastic clips hold tubes firmly, even at highest speed. Easy Setup - Snap directly on to the Vortex-Genie 2. Versatile - Can be used for techniques requiring bead beating, long mixing times or other unique applications. Convenient - Adapters shake multiple tubes at one time. Flexible - Adapters allow for vortexing tubes horizontally without the use of tape. Secure - Plastic clips on adapter hold tubes firmly, even at highest speed. Easy Setup - Adapters are attached to the Labnet Vortex with two small screws. 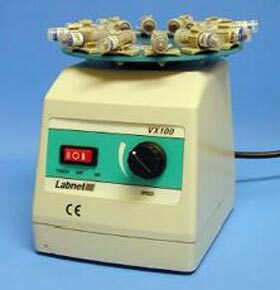 Versatile - Adapters can be used for techniques requiring bead beating, long mixing times or other unique applications.